EAT like the Beast, look like a Bombshell! Who DOESN'T love a delicious bowl of CHILI in the FALL?! 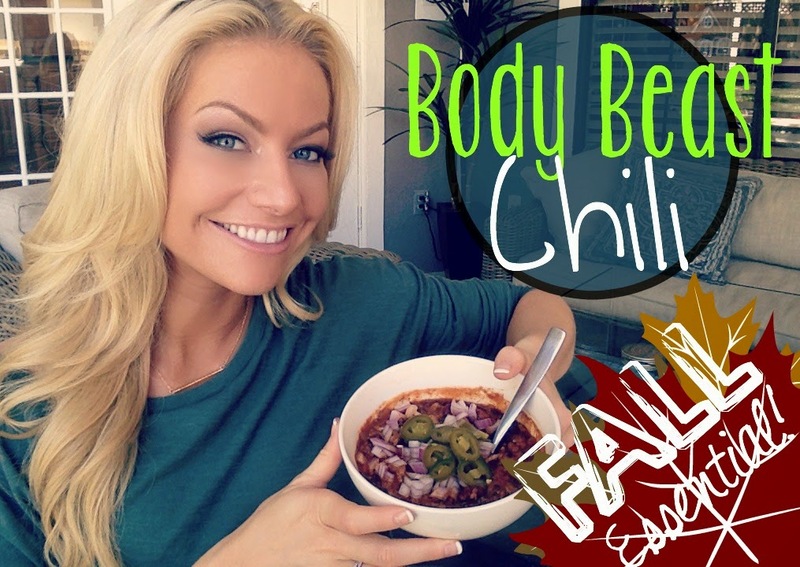 Check out the recipe below for my favorite HEALTHY, HEARTY CHILI RECIPE! Variations: Substitute ground diced chicken or turkey for turkey. Add garbanzo beans and organic corn for additional texture and flavor. Add a diced jalapeno pepper. I was just looking for a 21df chili recipe! Can you tell me the color codes for one serving? Oh my! Your chili recipe sure looks uber delish. I love turkey chili and I'm definitely going to try that out, once I pick some of the ingredients up from the market. Thanks so much for sharing another great recipe! Happy eating! Hi Christa! ! I have the the BB Book so I figured I could answer your questions...This recipe makes 4 servings. Hope that helps!